Brief: Increase sales and drive volume for 600ml. Powerade varieties across 7-Eleven outlets nationally. 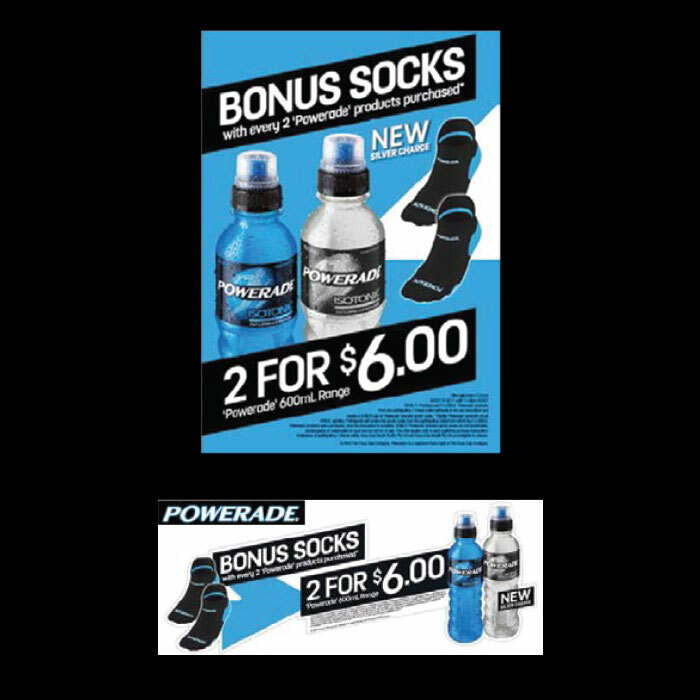 Execution: IMC designed, manufactured and distributed 180,000 pairs of Powerade socks to be used as a GWP Program in over 500 7-Eleven stores nationally. Carton design allowed packaging to double as POS at the point of purchase. Result: Sales increased by 14% based on the same period in the previous year.